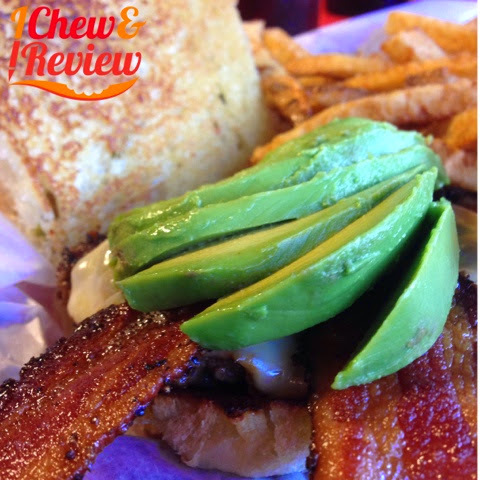 I Chew and Review: Uncle Tony's: Best Burger North of 1960? Uncle Tony's: Best Burger North of 1960? Since I decided to take a break from my diet and go all crazy, I decided my grand finale (until I get to my goal weight) would be Uncle Tony's. I've been wanting to get out to his place for a while now. It's not too far from my house, so I really don't have an excuse for not visiting sooner. Located just south of 242 on FM 1314, if you live in The Woods, this will be a bit of a drive for you, but I think it's worth it. To keep things simple, let me just say that Uncle Tony's has moved to the top of my burger "list" for burgers north of 1960. I say this with caution, however. Just because it's at the top of my list doesn't mean it will be the "best" to you, so I'll do my best to explain why so you can make the call for yourself. Uncle Tony uses Sheila Partin bread, and I'm a sucker for that, so he was already winning before I took a bite. I can live without dry, airy buns made by another popular bakery that provides bread to many places around town. I chose the Ultimate Rattlesnake Burger ($14 drink/fry combo) which has a patty made with Angus beef blended with pork sausage, jalapeños, and onion. The sausage gave the relatively thin patty flavor throughout. I hate it when a meat patty is so thick it's bland in the middle. 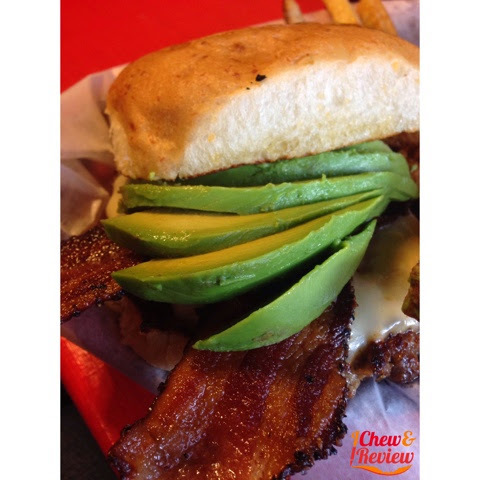 This burger comes with avocado, Muenster cheese and grilled jalapeños which provided a nice kick. It was also topped with bacon which I could have done without. Not because the peppered bacon wasn't tasty and crispy, but sometimes I think bacon is added just to give the burger flavor and it just wasn't necessary in this case. Tony accidentally forgot to tell us the lettuce, tomato, and onions were available at a bar near the register, but this burger didn't need anything. No loss there because it was great as-is. When a burger is well composed, I shouldn't have to add anything to it. Now onto the fries. I'm more of a skinny fry lover like those served by Hubbell and Hudson Kitchen, so I can't say Tony's were my favorite, but they were good. They were freshly cut, and had the darker appearance freshly cut fries often have. I really dislike the fries at Kuntry Katfish because although fresh cut, they are bitter. These were not. They were nicely crisp on the outside and soft but not mushy or mealy on the inside. They had just the right amount of salt as well. 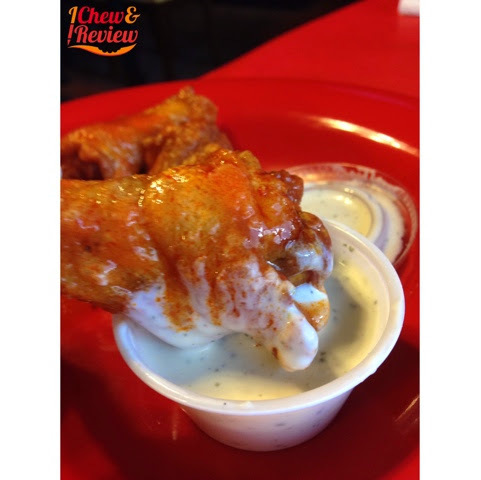 I had a sample of his wings and they were cooked just how I liked them. They weren't as big and meaty as I like, but they had a lot of sauce and I love that. He also has homemade ranch, and that's a necessity for wings in my book. We also ordered Chicken Tacos which were very good. The order came with 3 tacos and fries. The tacos were nice and spicy, but I don't know if I'll order them again simply because the burger was so good, and I can make a similar chicken taco at home. If I'm going to Uncle Tony's, I'm getting a burger! 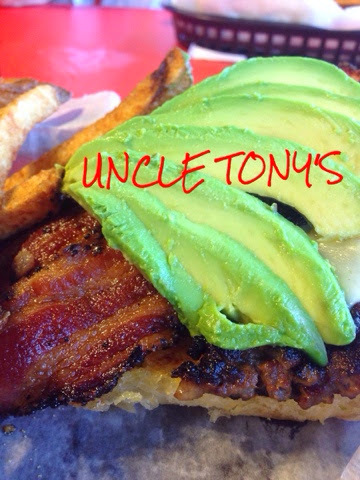 For more details about Uncle Tony's visit their website at http://www.uncletonys.biz. When I go to Tony's I always get the rattlesnake burger and sweet potato fries. 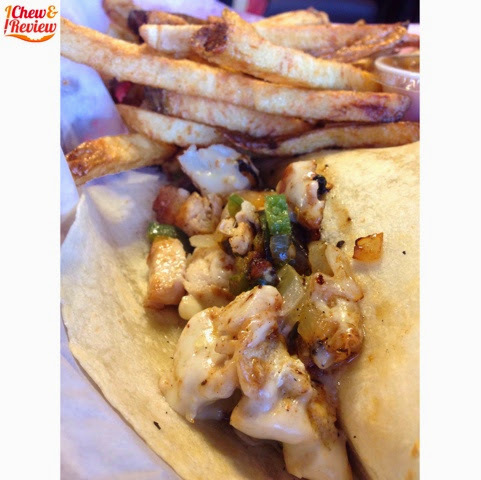 Mouth is watering now.